There's nothing like life in a large family. Everything is bigger and more when you've got a gaggle of kids living under one roof: the messes, the love, the noise, the stares from strangers. 1. You read the fine print on "kids eat free" offers. 2. You know instinctively that you're going to have to pay extra to put all your kids on a family membership to the science museum. 3. No matter who you meet, you have kids who are the same age. 4. 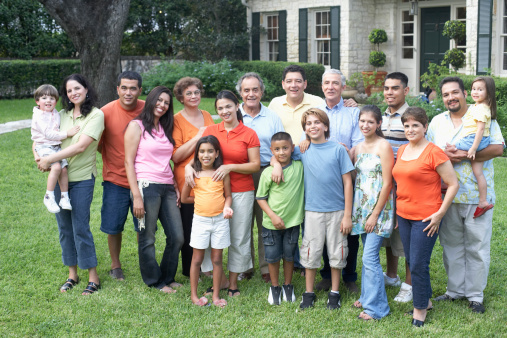 You see a family and think, Wow, that's a big family!, but upon counting, you realize they actually have one fewer kid than you do. 5. If everyone wants to play a board game together, you have to play in teams. 6. Someone is always having a birthday. 7. No matter how many times you tell people, they can never remember the names of all of your children. Even your friends aren't sure how many kids you have.